Today, Starbucks Coffee Company announced it will eliminate single-use plastic straws from its more than 28,000 company operated and licensed stores by making a strawless lid or alternative-material straw options available, around the world. Starbucks, the largest food and beverage retailer to make such a global commitment, anticipates the move will eliminate more than one billion plastic straws per year from Starbucks stores. Starbucks has a 30-year track record of focusing on sustainability across all aspects of its business, including achieving 99 percent ethically-sourced coffee. In addition to today’s announcement, Starbucks has previously committed $10 million to develop and help bring to market, a fully recyclable and compostable hot cup, in partnership with Closed Loop Partners, through the NextGen Cup Consortium and Challenge. Building more than 1,500 LEED® (Leadership in Energy and Environmental Design) certified stores in 20 markets, including all 50 states and Puerto Rico, the largest green retailer in its sector. Hey Buddy!, I found this information for you: "Starbucks to Eliminate Plastic Straws Globally by 2020". 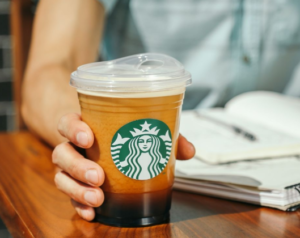 Here is the website link: https://www.duurzaam-ondernemen.nl/starbucks-to-eliminate-plastic-straws-globally-by-2020/. Thank you.